Dr. Darrolyn Hunt is a Biloxi native who graduated from Sacred Heart High School and attended Mississippi University for Women. She made her career choice at a very young age, helping her mother, a veterinary technician, care for animals in a non-profit animal rescue facility after Hurricane Camille. Later, she volunteered for Biloxi veterinarians, Dr. John Broussard and Dr. Kenneth Bleichner. She received her veterinary degree in 1987 from Mississippi State University and returned to her Gulf Coast home. In 1989, she began working for the newly opened Edgewater Veterinary Hospital, which she later purchased in 1996. 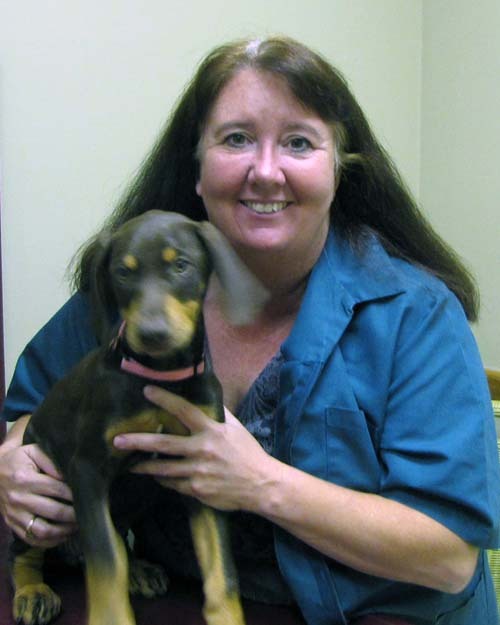 In 2001, she became a partner at Biloxi Animal Hospital. Currently she sees patients at both facilities. Nazli our, very open and bubbly office manager, has worked for our hospital for 4 years, though her experience in the veterinary field began in 1996.Nazli just recently married and had 2 “4 legged” children – Bruiser- a jack russel, and Drake- a yellow labrador retriever.She is a very valuable asset to our practice.She handles all of our day to day business including client communication, reception, and purchasing.She keeps her technical skills up to date by monitoring and assisting in surgery. Because she is the face and voice of our hospital, Nazli greets every client and patient with a friendly smile and a warm hello. 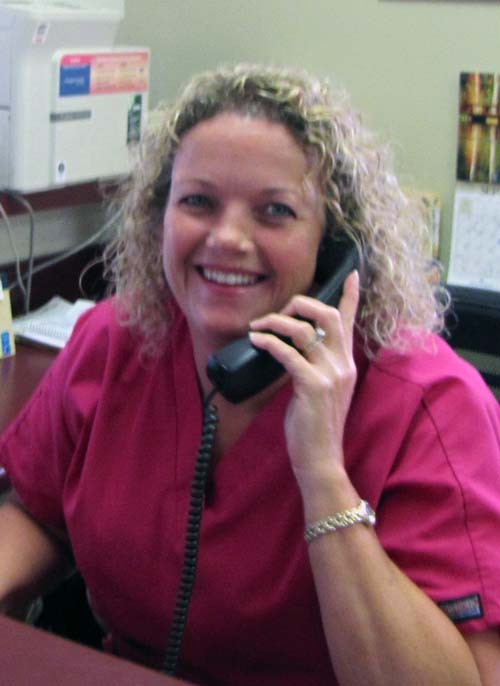 Leigh Ann is our full time veterinary technician.She started her career in the veterinary field at the age of 12 when she began helping her uncle at his veterinary practice in Gulf Shores, Alabama. Since the beginning of her employment 1 year ago, Leigh Ann main tasks include phlebotomy, exam room work up, and medical treatments.Leigh Ann’s household is made up of her husband and little girl, 2 dogs- Aubie a giant schnauzer, Belle, a miniature schnauzer, and a cat Gotte. Because of Leigh Ann’s calm, positive, and easygoing demeanor, many clients find her easy to talk. Chrissy is our resident kennel technician and veterinary assistant.She started working at EVH 6 years ago.Chrissy is married with 2 children, 3 grandchildren, and 2 great grand babies, however, her house is run by the 10 small breed dogs she has adopted over the years.She finds joy by taking care of all of our patients.She is probably the most compassionate employee our hospital has and often goes above and beyond the call of duty to keep all of our patients clean, happy, and healthy.